Personalizing your purchase will make it the perfect gift or addition to your home. From monogramming to embossing to engraving, Madison will help make it quintessentially yours. To monogram or not monogram is never a question at Madison. 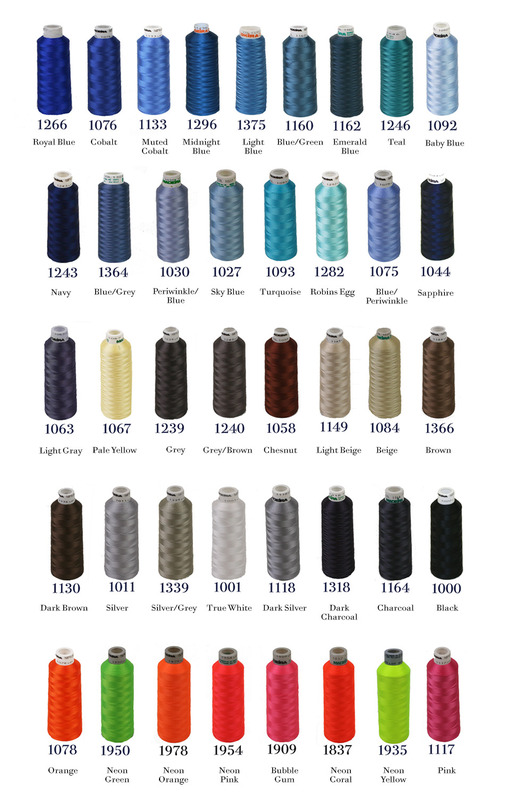 With many styles and thread colors to choose from, our custom monograms are the perfect accent. 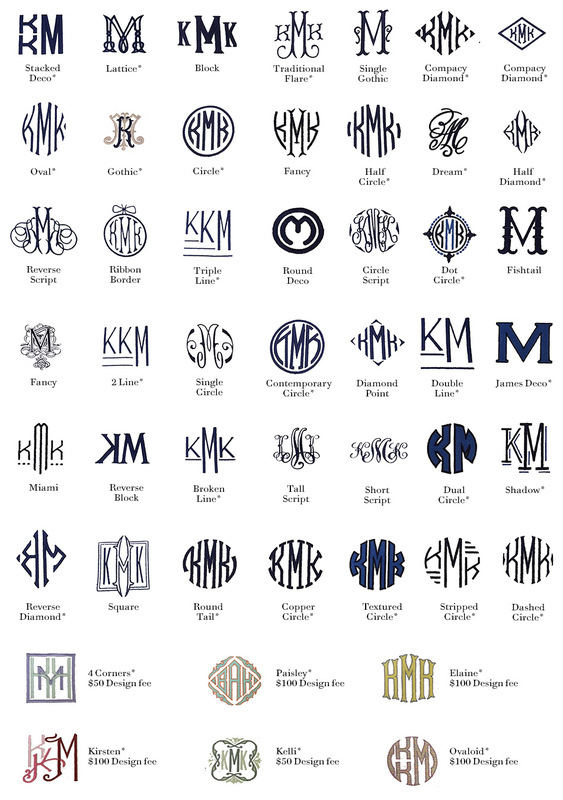 Monograms come in many different styles and sizes. From classic scripts to modern lettering and sizes ranging from 1/2 inch to 15 inches, Madison monograms are fantastic on everything from baby items to towels, duvets, beach bags, and purses! For corporate logos or custom pre-designed motifs, Madison also offers digitizing services for an additional one-time fee. Feel free to contact the store at 214.528.8118. All monogramming are flat, but a star (*) indicates that the monogram can be raised. Put your personal stamp on leather items, in gold, platinum or a blind imprint. 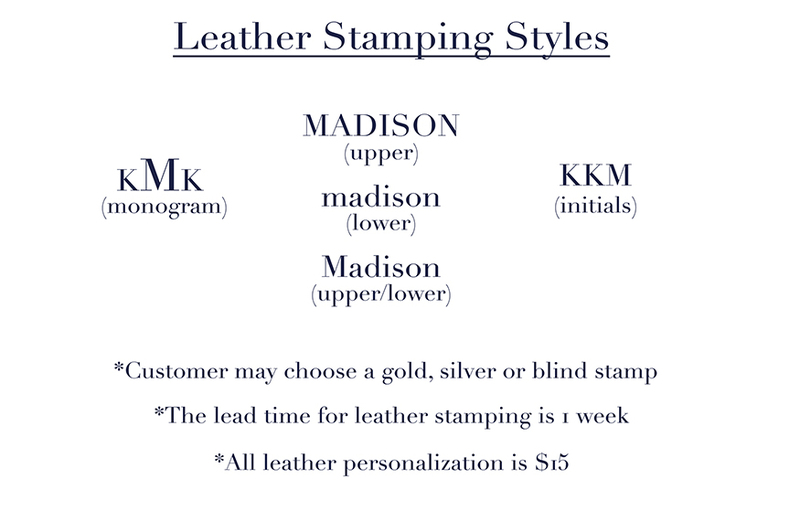 For size options and pricing information on our leather stamping services, please contact the store at 214.528.8118. Madison is happy to facilitate engraving on eligible glass, crystal or silver purchases from Madison. 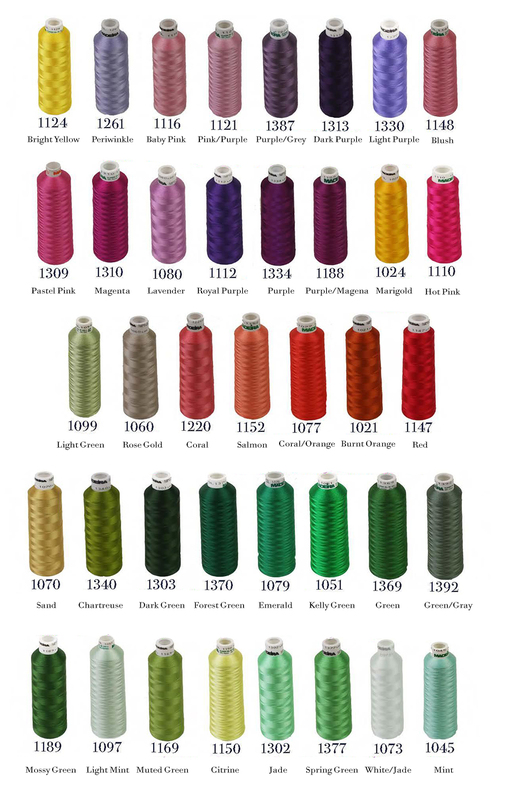 For more information, please contact the store at 214.528.8118.